We’ve been lucky to be experiencing a hotter-than-average summer so far in most parts of the UK, so what better time to play with water! 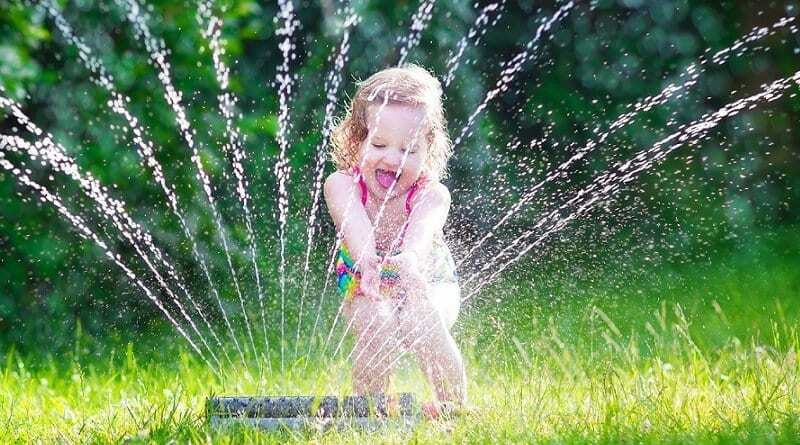 I have very happy memories of playing with water in my childhood, from paddling in a shallow stream on Dartmoor to having water fights with friends in our back garden. Water play is a great opportunity to play collaboratively and cooperate with other children. For example, encourage the children to work together in a group to make a water run out of sections of drainpipe and a wooden pallet. Encourage children to develop their understanding of sharing by taking it in turns using a slide into a paddling pool, or when blowing bubbles. Extend children’s vocabulary by using language associated with water play: splish, splash, splosh, wet, dry, soaking, float, sink etc. Encourage children to maintain attention and concentration by providing exciting opportunities to play with water, e.g. linking piping with funnels and water-wheels. Read stories and rhymes which relate to water, such as At the Waterhole by Beth Shoshan and The Snail and the Whale or Sharing a Shell by Julia Donaldson. Use water pistols to aim at targets as this will develop children’s hand-eye coordination and offer sponges and squeezy bottles to use to develop their manipulative skills. Buckets or larger watering cans support gross motor development and using pipettes or tweezers to squirt water or pick up shiny pebbles from under the water support the development of children’s fine motor skills. Explain to the children the importance of keeping safe in the sun, drinking lots of water and staying cool. Encourage the children to mark-make using brushes and water on the ground, fences or on tree trunks. Offer children opportunities to record their observations about floating or sinking objects or label a picture about where rain comes from. Present children with many different objects to explore floating and sinking. Many children assume that big or heavy objects sink and small or light objects float, so include some with surprising results, such as a heavy log, a paperclip, an apple and pear. Offer the children plenty of opportunities to experiment with different-sized bottles and containers to encourage them to think about capacity. Talk to the children about where we find water and what we can use it for. Add water to the mud kitchen so that children can mix concoctions and make mud pies more easily and offer them everyday utensils such as sieves, whisks and ladles to use. Freeze some water-based paint in ice lolly containers to make your own ice paints. Promote imaginative play by introducing small world play around themes such as Under the Sea; mermaids/men, seahorses, sharks, dolphins and whales or pirates. Playing with water is fun but it’s important to remember to always supervise the children and remain vigilant at all times. When you have finished playing with water, remember to not tip it down the drain, instead, use it with the children to water some plants and explain how water helps the plants to grow. You may also want to talk to older children about how there are some places in the world where they do not have enough water. You may like to do a sponsored event for a charity like WaterAid who change millions of lives every year by providing clean water. rimmer is an experienced early years consultant and trainer and parent who is passionate about young children’s learning and development. She believes that all children deserve practitioners who are inspiring, dynamic, reflective and committed to improving on their current best. Tamsin particularly enjoys planning and delivering training and supporting early years practitioners and teachers to improve outcomes for young children. 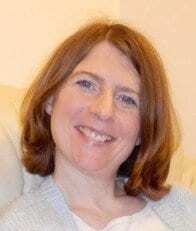 Tamsin has written two books – Observing and Developing Schematic Behaviour in Young Children and School Readiness and the Characteristics of Effective Learning.